…rejoice to the extent that you partake of Christ’s sufferings, that when His glory is revealed, you may also be glad with exceeding joy. We live in a culture that promotes comfort. If you talk to people about suffering, sometimes they will check out of the conversation. Let’s be honest, I don’t enjoy suffering or persecution. I have learned and am learning that if we only eat dessert, we don’t grow. We need situations in our lives where we don’t get our way, we don’t understand, the answer is no or wait, there are obstacles or problems to overcome. If we don’t have them, we remain spiritually and emotionally immature. We don’t grow up. We stay on the same level. The idea God only wants us to feel good is toxic. Growth doesn’t always feel good. Do you recall being younger and experiencing growth pains, losing teeth so new ones could come, or homework? It didn’t always feel good. The end result was good. Is every hardship God growing us? No. 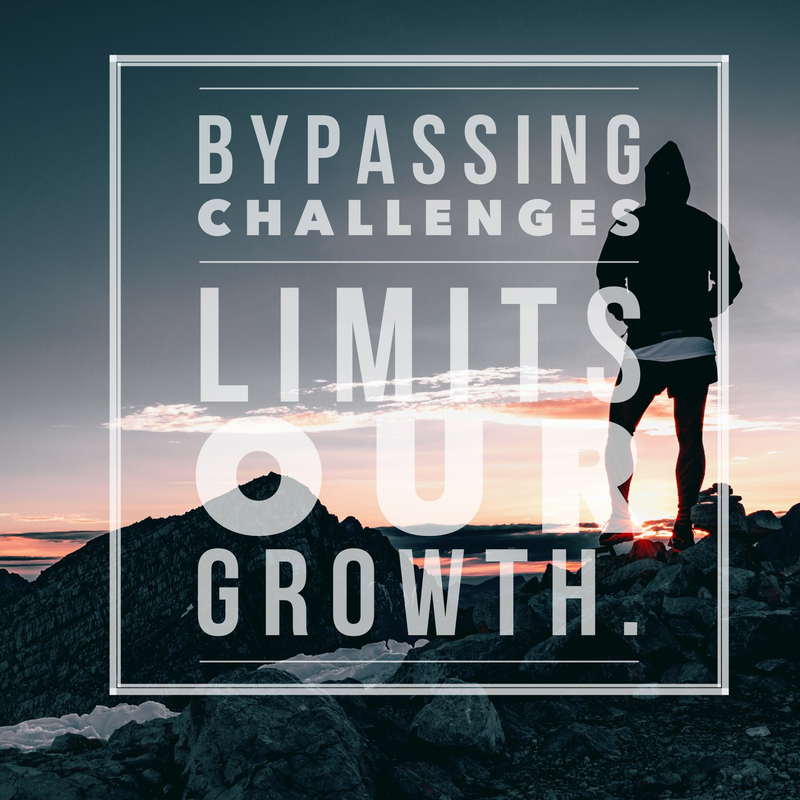 I think it’s valuable to examine Godly challenges versus what’s of the devil. God can turn what’s of the devil into a blessing; that doesn’t mean He set up the suffering, challenge, or setback. There’s Godly suffering/challenges and evil suffering/challenges. Let’s lay these out on the table. It’s for the Gospel. The Bible says the Godly will suffer persecution and be hated (2 Timothy 3:12, John 15:18). It produces Godly character and develops patience (James 1:3, Romans 5:4). It leads to eventual blessing (Hebrews 12:2, Job 42:10, Genesis 50:20). It is not a call to sickness, disease, or demonic oppression. Jesus healed the sick and delivered the oppressed (examples in Mark 1:34, Matthew 4:23-25). It is not a call to poverty. Jesus told us to care for the poor (Proverbs 29:4, Proverbs 22:9, Galatians 2:10) . If I’m poor, how can I help you? It is not a call to abuse or being abused/controlled/manipulatd.Those are demonic forces. Abuse is not love. Control is not love. Jesus stood up for the oppressed, and outcasts of society (John 4, John 8). Have you been enrolled? It’s amazing if you do. 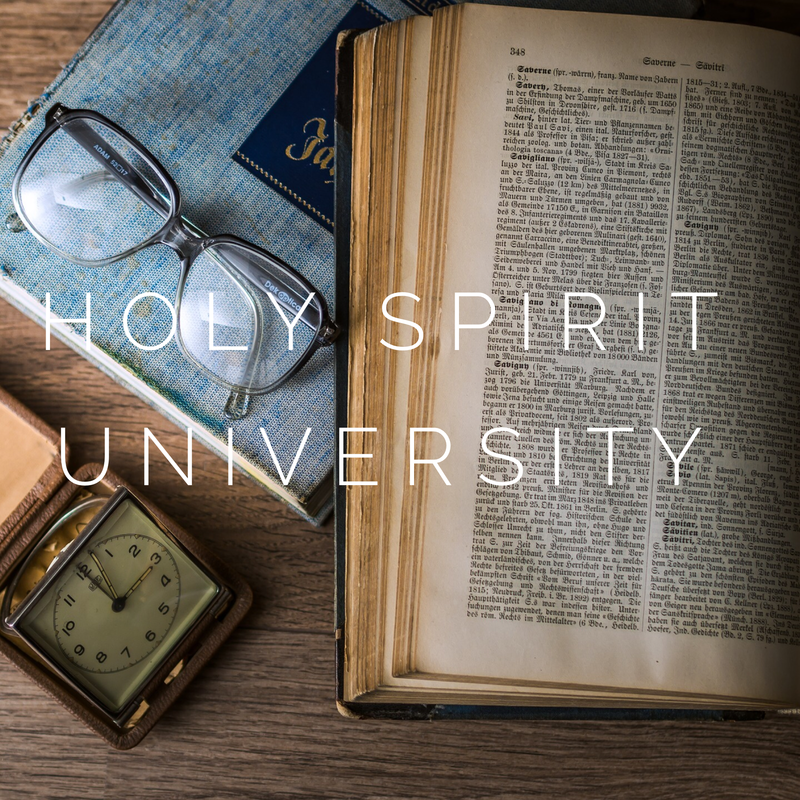 I liken the work of Holy Spirit to being enrolled in a University. Salvation is our ticket into HSU. Everyone has a schedule, map (the Bible), and a mentor (Holy Spirit). The courses are designed to grow us into the character of Jesus and help us fulfill our destiny. No worries if you don’t do well in a course. You don’t get grades here. You can take a class as many times as you need. Even after you pass you will be tested on what you’ve learned or move on to the next level. Suffering 101-301: I did not enroll myself in this class. I was born into trauma. I have no space to tell you all my war stories. Just know this class is ongoing. The supernatural comfort and power of God. The power of God to heal and deliver. The great compassion, mercy, and goodness of God. Persecution 101-107: I don’t enjoy this class. Yet I have seen the most fruit from these challenges. I’ve been in this class for 7 years. To allow God to defend me (work in progress). He is my defense. People are not my enemy. I have just 1 and Jesus beat him with two sticks. To rely solely on God’s love and acceptance. One coworker harassed me at work; regularly tried to get me fired. She eventually gave her life to Jesus. She said, “I knew the Spirit of God was in you.” I never retaliated, tried to hurt her, nor treated her poorly no matter how awful. Don’t get me wrong, there was lots of prayer. Years of being beat down without Human Resources help. People kept saying to quit. I just didn’t have the “Go” in my spirit. I am not advocating staying in an abusive or toxic situation. If it’s physical violence or sexual abuse, get help immediately. If it’s verbal abuse, get help. God does not approve of abuse or expect you to tolerate it. Rejection 101-301: I’m almost at home in this class. I’m growing accustomed to being misunderstood, left out, pushed aside, put in the back, or ignored, etc…sometimes it bothers me when it comes from Christians. I’m learning claiming Jesus and loving like Him are not the same. People (myself included) must receive God’s love in order to give it away. There are people in my family who rejected me for sharing the Gospel or for no reason. I love them. I try not to allow their behavior to dictate my joy. My audience must be God. If He says thumbs up, it doesn’t matter if the world says thumbs down. God withholds nothing good. God sets up relationships that are mutual blessings. Preference matters. I like mangoes. You may like peaches. Both are good. It’s a matter of preference. Don’t rely on or need the approval of man; it changes like the shifting tide. People can love you today and hate you tomorrow. Those are just some of the courses I’ve been in for a very long time. I used to lament, “Why me?” I came to the conclusion that I choose whether to be a victim or victor. How people behave is a reflection of their heart, experiences, or circumstances. People can only give the love they have first received from God. I found that our suffering helps us to have compassion for others and patience with them. I was praying with someone who just broke down, tears streaming. This person had endured horrific, sustained abuse. When I touched the person I felt it. I cried with them. Why? I understand abuse. I know what it’s like for people take out their rage or frustrations on me. I know what it’s like to blame myself instead of the other person. I know what it’s like to feel unloved, like the dog people like to kick. I told the person, “I know exactly how you feel. I was abused too. This is not your fault.” When those words were spoken, a glimmer of hope appeared in those tear filled eyes. The prayer time with this person was not a pity session, or I must make up sympathy for you. It was a “I’ve been here and I’m entering into this pain with you.” I just rocked the person, held them, and spoke out God’s love and affirmation; we cried. Let me tell you something sweet friends. God enters into our suffering. He’s not watching it trying to work up sympathy. His heart is pounding in His chest, “That’s hurting My child.” His heart is for us. Jesus suffered for us and suffers with us. There’s intimacy forged in suffering with Jesus. Some of the strongest bonds are forged between people who go through challenges together. Jesus did everything the Father told Him to do. It led to the cross. Jesus faced Gethsemane, the cross, all before His resurrection. Sometimes what feels like death is an invitation to glory. An olive is crushed before the oil flows. It’s not suffering for no reason. It’s a pressing, strengthening season. God wastes nothing. Once we overcome, we can then assist others in overcoming. The Spirit of Breakthrough begins to flows through us when we walk through the valley with God. We are released, through abiding, into new levels of understanding, compassion, and authority. Greater love hath no man than this, that a man lay down his life for his friends,~John 15:13. A new command I give you: Love one another. As I have loved you, so you must love one another. By this everyone will know that you are my disciples, if you love one another,~John 13:34-35. If you assessed my life story or fully understood my personality, I’d be one of the most unlikely to be used by God to love His kids. I’m highly introverted. As a kid my mum said I spent most of my time under the dining room table with my notes, tools, and sketch pad. I can spend days to weeks with just God. I get lost in thoughts, theories, and creating. I’m also, according to Myers Briggs, INTJ (introverted, intuition, thinking, judging). We are not known as the sentimental types. We are primarily thinkers, not feelers. We ask, “Does this work?” We get lost in logic. We solve problems, hence my pursuit of a career in engineering and science. I tell you this because God is able to love through anyone who’s willing. I prayed long ago for God to teach me to love like Him. I had no clue what it would cost. I had no clue how deep, vast, profound, rich, generous, compassionate, and sacrificial God’s love truly was. I am still learning. One person other than Jesus I could pinpoint as an example of supernatural love is Apostle Paul. He was, before His encounter with Jesus, a persecutor of Christians. After His encounter with Jesus, Paul became one of the most radical lovers of God, the Gospel, and wrote Corinthians 13 the chapter on love. The love of God is supernatural, it’s beyond human ability. Humans naturally want to put themselves first. Agape love is sacrificial, selfless, pure, unconditional, holy, honoring, and out of this world. It’s the love Jesus has for us and tells us to have for others. How do we get this love, God’s love in us? It starts with relationship, intimacy with God. We must first receive before we can ever give. We also abide in Him (John 15:5). The more I’m with God, the more I love people. This love is still challenged. Trust me! Yet with the passing moments of oneness…His heart invades mine. He has imprinted His great love on my heart. I’ve pondered how to share stories while honoring others, so there’s a summarizing and exclusion of names. I’m in the process of writing three more books, they will include more life stories as there’s space for them. Here are a few brief stories that may fuel your faith. I have a person that caused great pain in my life. More pain than anyone else. They treated me poorly in so many ways. When I went through my health crisis, they were not supportive or compassionate. They would say things like, “You’re not really sick. If you were stronger, you’d get up from there…” Well, I was sick. My hair fell out in places, I was on beta blockers for my heart, seeing specialists,…I was a mini train wreck. Yet God has healed me. Praise pause 🙌. Thank YOU Jesus! 👏. I’d love to tell you prayer led to warm, fuzzy, and loving feelings. I didn’t. There were days where I’d just sob and call out to God for help. Days I wished I could join the witness protection program and run away from my life. Crisis after crisis wore me down emotionally, mentally, physically, etc…I was really young and overwhelmed. While other kids were enjoying their lives, I was trying to juggle chaos. Yet God is stronger. He didn’t deliver me from. He delivered me through. That person grew to slowly change. I didn’t change them, God did something. It was the most painful and challenging season of my life. Yet God’s love is a sustaining power. Fast forward and my first real opportunity to do discipleship ministry. Like Jesus there were 12 women and me. I gave my life, heart, time, energy, home, and all for those I was leading/discipling. I gave my all for 3 years. I helped people move, opened my home, cooked meals, hosted parties, wiped tears, prayed, played/sang at weddings, was a friend…I’m a 100% type of person. If I commit to someone or something, I’m giving it my all. The people I gave my life to, well several of them turned on me, gossiped about me, lied on me, one even cursed me out in public, one created so much drama people from out of the state were emailing me at work about it, and well…God never gave me permission to walk in unforgiveness or try to avenge myself. I sat in silence while being cussed out (He supernaturally closed my mouth. My natural bend would’ve been to rebuke that woman). It was so painful. It was challenging. There are absolutely no words to express the level of grief it caused. If I had sinned, I’d accept it as my consequences. Yet my issues came from teaching the Gospel as it’s written, pointing to Jesus, being who God created me to be, and not promoting people to leadership roles because God had not released me to do so. Some of those relationships were never fully repaired, yet a few were. There’s forgiveness for everyone, yet not everyone repented or even acknowledged their sin. And God gave me the opportunity again to forgive and love. Supernatural love when I only felt numb inside. Supernatural love to try again with ministry, though I didn’t want to love again sacrificially after those experiences. Christians became my frenemies so it took God to get me back into ministering to other believers. Some may say, that’s no big deal, grow up. Yet until you’ve laid down your life for people who betray you, there’s no place to reference from. Only Jesus knows fully what it’s like and even He experienced great grief facing the cross. I found through those years of heart wrenching how much love cost Jesus. I was not nailed to a rugged cross, but my heart was. And “I’m sorry,” never healed nor took away any of the pain. Only God can and does. I sometimes think we (humans) think our sin, rebellion, or rejection of God doesn’t affect Him. It does. And though we say sorry and repent, our behavior does impact His heart. God has feelings…He loves more than we can comprehend. I can’t imagine since He loves more than me how deep it cuts His heart to see His children destroy themselves and others. If I loved others by experiences with loving people, I would only love a few people or not love at all. This area of my life has been hit with the most opposition and pain. Yet God doesn’t call us to love a few people. He calls us to love everyone, even our enemies. Challenging love situations, they teach you so much about God. I don’t love perfectly, God does. Even though He loves perfectly, He’s rejected, used, verbally abused, neglected, hated, ignored, forgotten about, sought after only in crisis, sinned against, and much more. I used to think going through challenging experiences with love was some form of punishment. Yet God was answering my prayer, “Teach me to love like You.” God teaches by giving us opportunities. As of the past few years we have moved from love boot camp, to God supernaturally downloading His heart for people into mine. It makes it a bit easier, yet doesn’t change the response of others to me. I still meet rejection, people who attempt to attach themselves to me for their benefit, misunderstandings (why is she being so nice to me? ), and I have a few that are oh so challenging to love. I rely fully on God for love, another lesson learned from these experiences. People can’t fill your love tank. God thinks of you continually. He cares about EVERY single detail of your life. He wants you to maintain your freedom to choose (He’s no control freak or manipulator), He’s not absent minded (He keeps log of all your desires and dreams), He celebrates you, He knows all your flaws and still longs to be with you, He sets up opportunities to bless you, Jesus lives to intercede for you, He moves mountains for you, He corrects to restore you, He enjoys every moment you spend with Him, and He desires so much to be with you!!! This love, His love, is life changing. If you want to see your life changed or change the world, receive this love…God’s unfailing & radical love! You see one of the greatest miracles of all is the Creator of the Universe loving humanity. God bless you! Next time we will talk about divine intelligence, when God gives you His wisdom and intelligence. Praying for you! You are SO deeply loved. Erin Lamb, all rights reserved. God is in all things, all we have to do is look closely. I have found some applicable life lessons in my time spent tending to a garden or plants. So, come with me on the journey to encountering God in the garden. 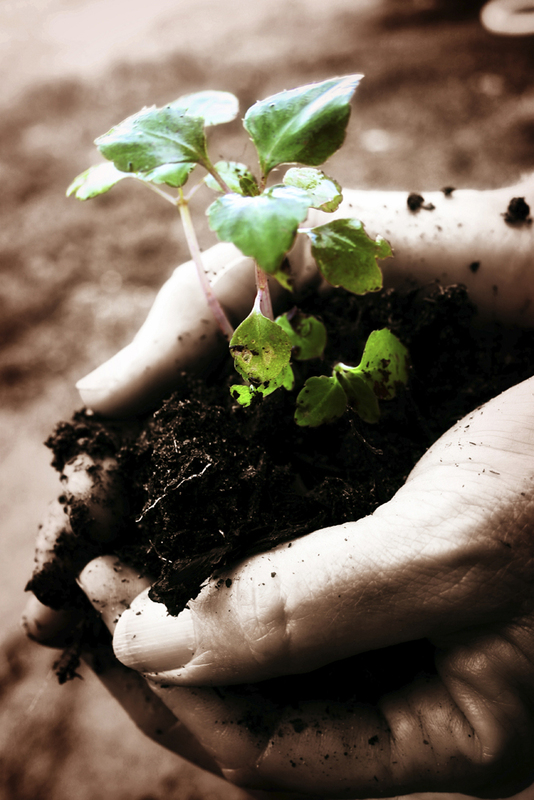 We reap what we sow-meaning what we plant is what comes to the surface. A gardener would be horrified if they found what they planted in the ground is not what they have at harvest time. They planted tomatoes, but somehow grew corn. Often in life I think we are shocked to see negative things breaking through the surface of our lives. We scratch our heads and say,”Where did this come from?” We neglect to ask ourselves what seeds are planted in our minds and hearts. Out of the mouth the heart speaks (Matthew 12:34b). If the seeds planted in our hearts are seeds of un-forgiveness, unbelief, hatred, selfishness, jealousy, envy, strife, or lust-that is what will break forth. Where do the seeds originate from? Seeds are planted in our minds and make their way to our hearts; that is where each seed, either good or bad is planted. What we allow to sink in and take root is what will blossom in our lives. It’s to our benefit to take every thought captive and make it obedient to God’s word (2 Cor. 10:5). We reap more than we sow. Seeds yield more than the small seed planted. If we invest in what is good, there are great things that will spring forth, more than what was sown. 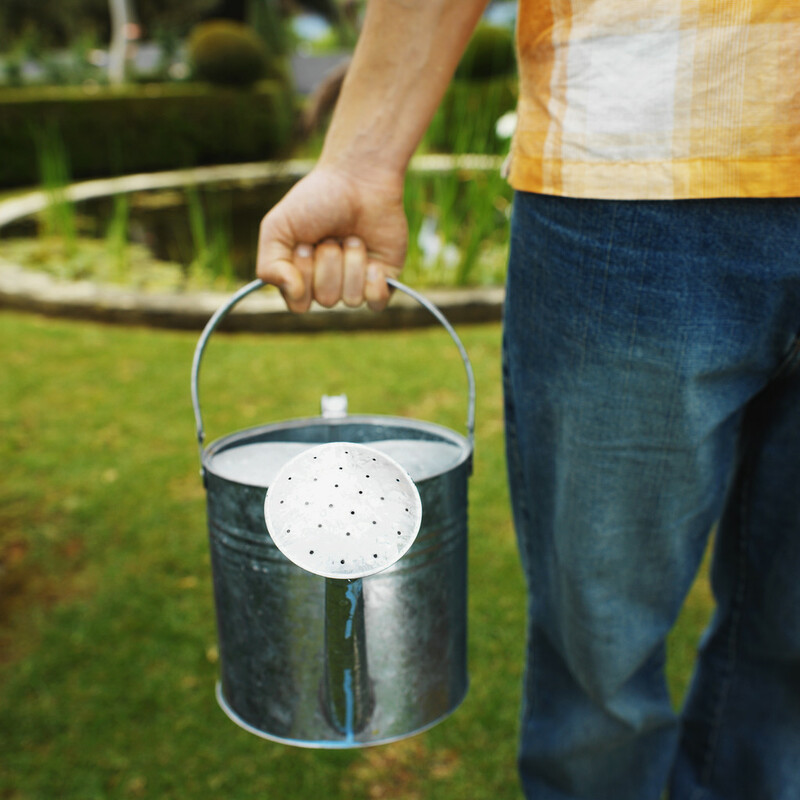 Plants need light, water, and pruning. So do we. God is light. Everything good, He encompasses. He is the source of life. Plants left inside turn themselves to grow towards the light. The plants need the light to grow and thrive. Without the light, the plants will wither and die. We need God to grow and thrive. Some plants (like ivy) will climb over any obstacle to get its light source. How would our lives be different if nothing stopped us from seeking the light? The last point is the beauty of pruning, weeding, and attentive care. If you have a garden you are aware that weeds will try to crowd out your beloved plants. They will attempt to rob the soil of nutrients and have the potential to kill your crop or flowers. Our weeds may be described as discouragement, deception, unbelief, or fear. Those things must be quickly uprooted before they crowd out faith, hope, and love. Gardeners care for what they have planted. They have invested in what they have sown. God is the master gardener, and He is invested in you. He loves you. God wants you to grow and thrive, and not just for His own personal satisfaction. He also wants to bless everyone around you. My greatest satisfaction as a gardener is being able to give away the fruit of my labor. God loves you infinitely more than I love my plants. He has so much invested in you. Praying you not only grow, but thrive.